"heavenly harmonies on top of furious fingerpicking"
Music fosters lifelong connections among people of all ages, cultures and backgrounds. 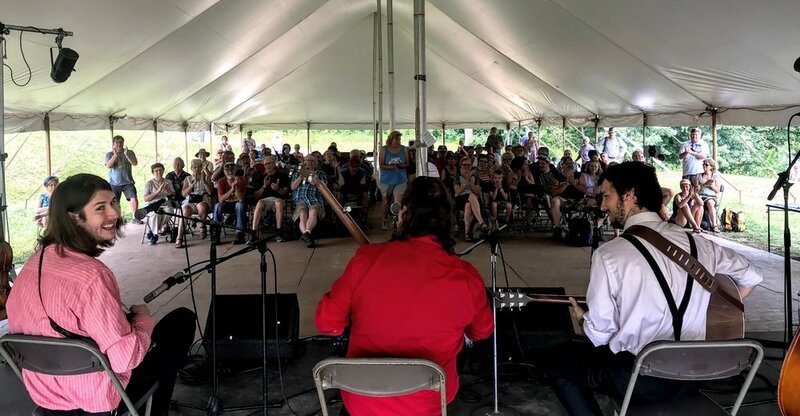 While performances connect artists and audiences in plenty of amazing ways, the two-way discussions and Q&A opportunities involved in the interactive workshop environment can offer valuable experiences for music fans and musicians to connect with one another on more personal levels. 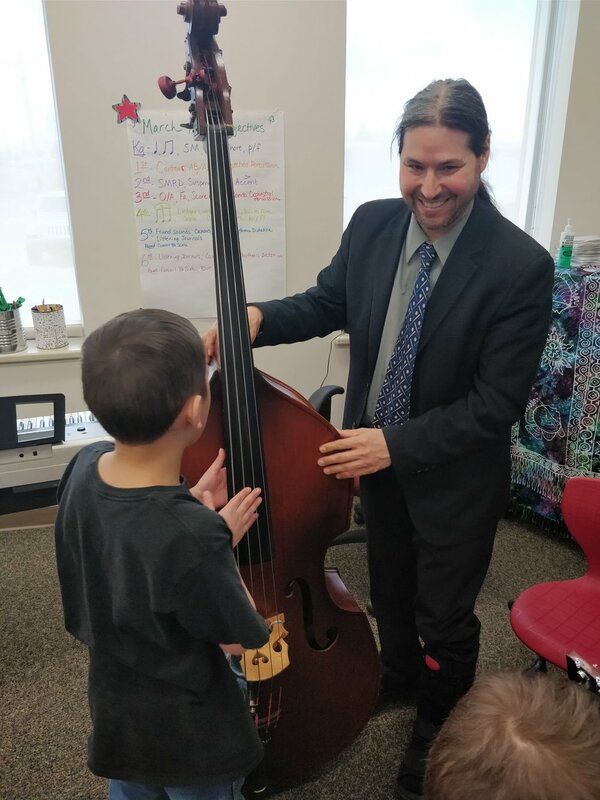 The Bluegrass Ambassadors can attest to this - and they seek out these connections by offering deep-dive workshops every chance they get. This workshop is supplemented by a small PA to play the original versions of these songs, alongside the Prowlers interpretations. A television (or projector if the event is inside) also allows the band to share some of the many videos and photos from their adventures. The band typically performs 2-3 full international tunes as part of this interactive format, alongside discussion of translations, cultural and musical variances and more. The Henhouse Prowlers have been a fully functioning and touring band for more than 14 years. While the industry continues to change on both a macro and micro level, getting started on the right foot has never been more important. This class covers everything from promotion and finances to tips on how to book, promote and get along on two month international tours. Being a lifelong musician has its challenges, but it's more possible than ever if you're well prepared for the realities of life on the road (and at home). 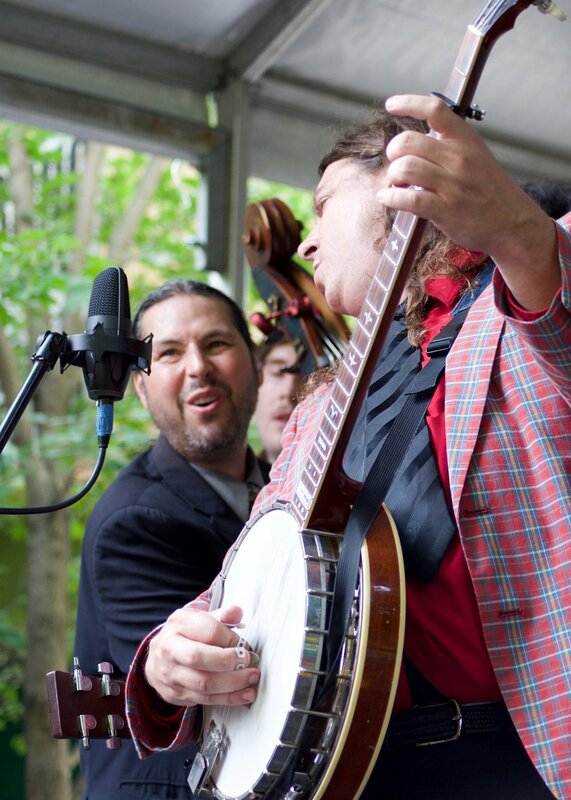 The musical prowess of this bluegrass band was unlike anything I’ve yet to encounter in the city of Chicago. It’s straight-laced, tight-knit, barn-burning bluegrass with enough vocal harmonization to make Del McCoury blush. The Henhouse Prowlers were well received in Nigeria, introducing the many audiences to bluegrass music and providing a taste of American culture. They performed with local musicians in Abuja and Lagos, and self-taught themselves a top Nigerian hit at the time. At each performance, their bluegrass version electrified the audience and brought hundreds to their feet, including students and adults alike. As cultural ambassadors, they set new levels of interaction with local audiences and musicians. What's a US bluegrass band doing jamming with oud players in Riyadh?